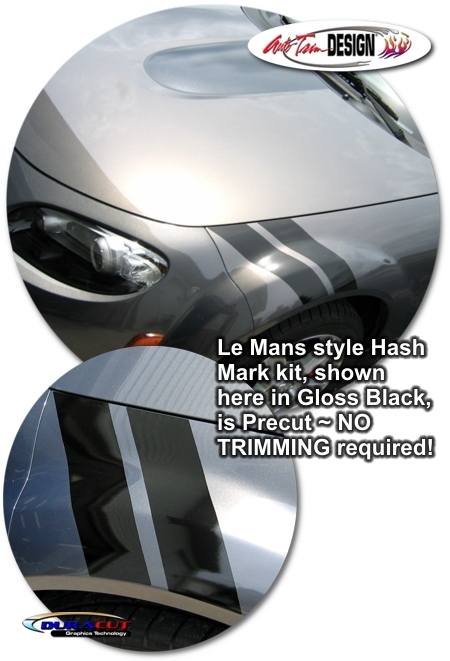 Trick out your '06-Current Mazda MX-5 Miata with these simple yet aggressive "Le Mans" Style Racing Fender Hash Marks that are easily installed on the Driver side front fender. Available here in Silver Metallic, each Hash Mark is approximately 3" (7.62cm) in width and set apart with a 0.75" (1.91cm) space. Designed to be placed a measured distance from the leading corner of the Fender front ('06-Current - 0.25" [6.35mm]), decal is PRECUT and ready to install in a wide variety of colors - NO TRIMMING required! 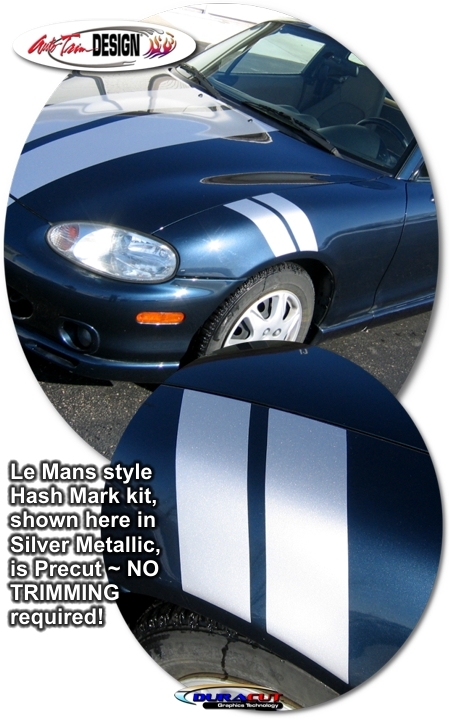 This Hash Mark kit is not just a set of straight strips. Our graphic kit consists of prefitted and contoured pieces that are specifically made for the '06-Current Mazda MX-5 Miata factory Fender area and will not fit any other vehicle (straight stripes simply DO NOT work on the multi contoured fenders of the Miata).